I am a huge fan of recycling and up-cycling. Turning expended wine and beer bottles into serving dishes is a lot of fun for me. The different bottle colors are lovely, and the bottles can be turned into multifunctional plates. Use them for serving small snacks, nuts, candies, olives, etc. Use them as a spoon rest on the stove - they're very heat resistant! I even have one on my counter as a butter dish. The two and three beer bottle plates work well for food and would make a great desk accent to hold pens, paper clips, and other small desk items. 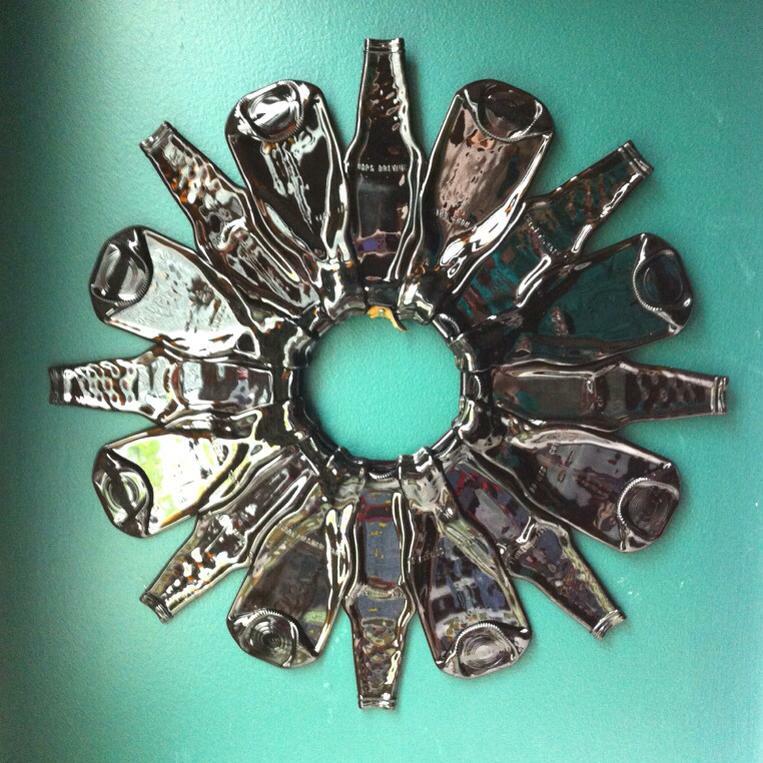 This wreath was made with 16 beer bottles carefully arranged in the kiln. It is currently in a private collection and not available for sale.